Manual data entry might be one of the most tedious and inefficient tasks in the working world. Not only does it put you to sleep, but it also wastes precious time and resources, slashing your productivity to bits. In fact, data entry wastes over 10 hours per week for certain sales teams. Fortunately, there’s technology that can automate these mind-numbing tasks, eliminating human error and letting you focus on the work that actually matters — workflow automation. Workflow automation is technology that uses rule-based logic to automate manual work, like data entry and lead nurturing. By leveraging self-operating processes that run manual tasks, workflow automation can help your business save time and money, diminish errors, and boost productivity. Almost every department in your business can benefit from workflow automation. Whether it’s marketing, human resources, or finance, here’s how the technology can help you work smarter, not harder. Some of Marketing’s most repetitive tasks, such as sending emails and posting social media updates, can be automated with workflow automation. 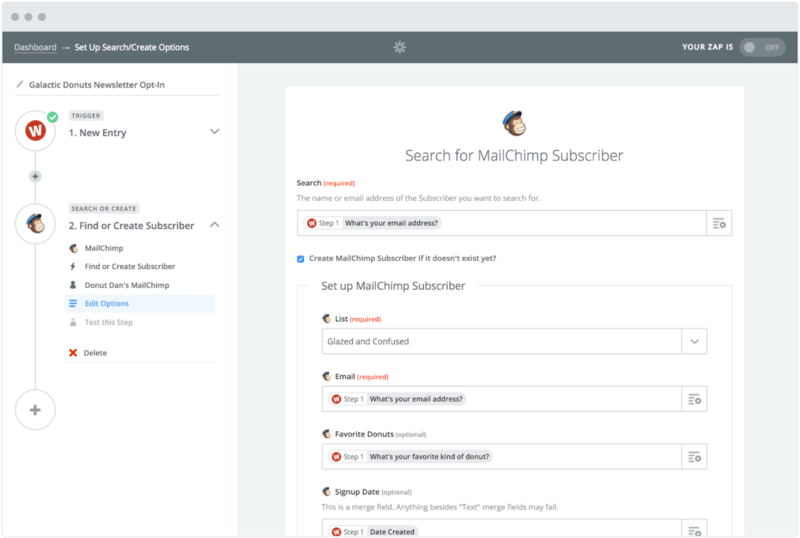 With marketing automation software, you can set up workflows that nurture certain types of prospects with email offers, and schedule your entire social media calendar. Instead of having to manually enter all your new hires’ personal information, like addresses, social security numbers, and other employee information into payroll, expense, and insurance systems, HR automation software can do it for you in minutes. By allowing you to build forms, design workflows, and track processes, finance process automation software can streamline all your travel requests, reimbursements, and budget approvals. With over 3 million workflow applications operating on their platform right now, Nintex helps more than 8,000 enterprise customers manage, automate, and optimize their business processes, with no coding experience required. 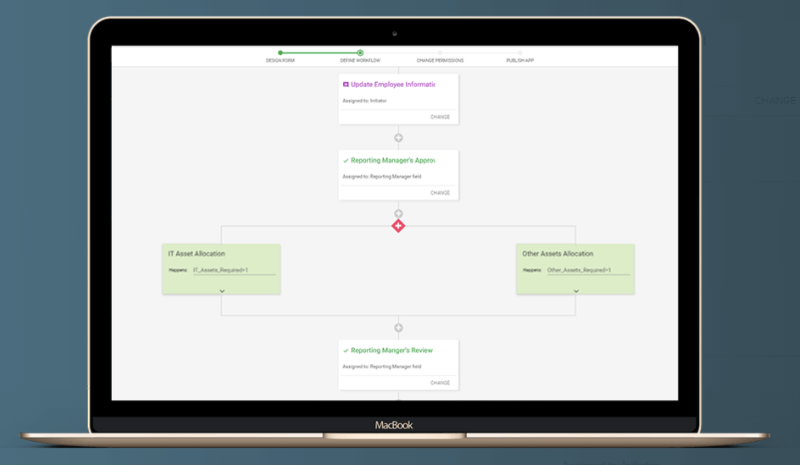 By offering a multitude of workflow automation tools — like process mapping, advanced workflows, and process intelligence — your business is able to map out each of your processes, execute them, and monitor their performance. Trusted by over 10,000 companies, including Domino’s, Michelin, and Pepsi, KiSSFLOW offers an all-in-one workflow automation software that lets your business create workflows that automate tasks in your human resources, sales, finance, administration & facilities, marketing, and purchase departments. With over 50 pre-installed business process management apps, such as expensing and sales orders, the ability to customize your workflow with conditions and triggers, and a reporting dashboard for your workflows, KiSSFLOW can streamline almost all your business processes. 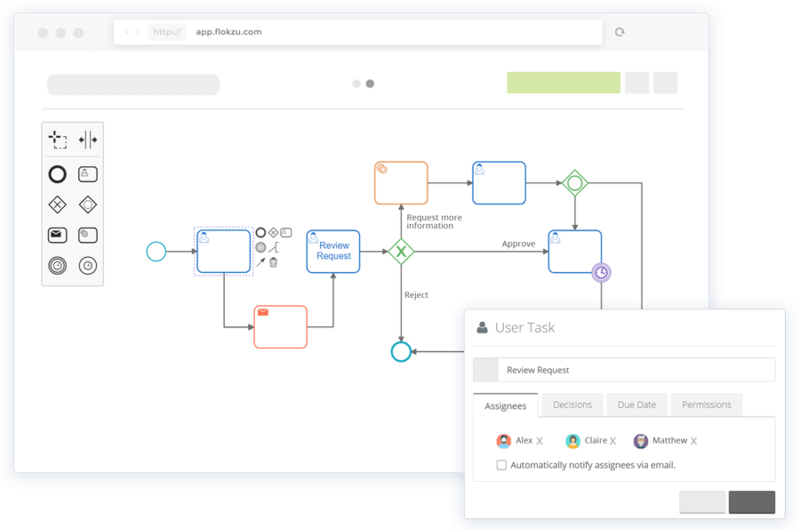 Integrify is a workflow automation software that lets you build workflows in a drag-and-drop builder and run parallel or sequential flows. By being able to collaborate on tasks and requests, test your processes, and set up reminders, you can easily streamline your business processes and automate manual tasks. Integrify also offers workflow examples and a user knowledge base, a rest-based open API that allows you to integrate with external databases, and the ability to import and export data from Excel and even PDFs. 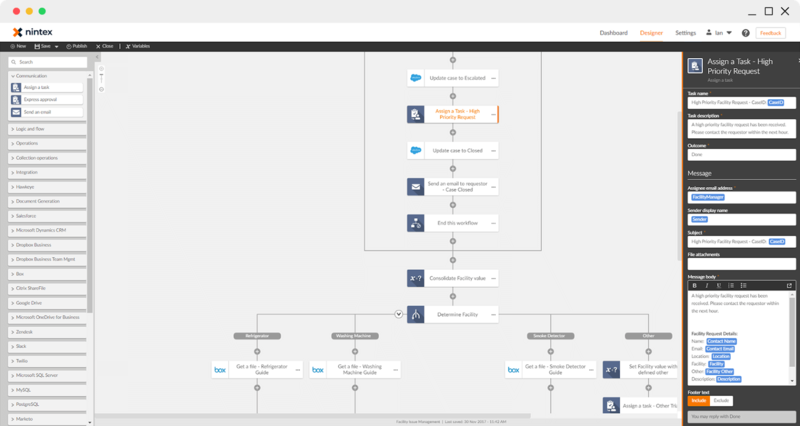 With the ability to connect to and share data with over 1,000 web apps, like Facebook, QuickBooks, and Google Drive, Zapier can automate almost any type of business process. All you have to do is build a workflow in their editor, pick the apps you want to include in your workflow, and design it. For example, if you want to be able to save all your attachments in Dropbox, you can design a workflow that automatically copies any attachment from your Gmail inbox to Dropbox and then sends you a Slack message about the download. Without writing any code, Flokzu allows you to create tasks, deadlines, business rules, and notifications. Their software also sends pending tasks to each of your project’s assignees’ inboxes, and as each stage of a workflow is complete, it’ll automatically assign each new task to a user or role. Additionally, Flozku offers a reporting dashboard that displays your business processes’ performance and metrics, like the amount of currently delayed tasks there are, tasks assigned to each user and role, tasks completed, and the time each task took, which will give you the necessary data to refine and optimize your future workflows.